Michael Bonoffski joined the Cabarrus County CVB in 2009 after starting his motorsports career with “The King,” Richard Petty at Petty Enterprises (now Richard Petty Motorsports) where he worked in marketing and licensing. He then joined Mattel Toy Company-Hot Wheels Racing where he held various management positions over the course of six years. Michael is a 1996 graduate of Ithaca College where he received his Bachelor of Science in Sports Information & Communications and his Master of Science in Sport Management from West Virginia University in 1997. In 2012, Michael was recognized by the Southeast Tourism Society as a member of the inaugural Forty for the Future class honoring travel’s leading talent. In 2013, he completed the Southeast Tourism Society’s Marketing College program and is certified as a Travel Marketing Professional. In November of 2013, Michael received a Certificate in Hospitality Marketing from Cornell University. Julie Hinson graduated from the University of North Carolina at Charlotte with a Bachelor of Science in Business Administration degree in Marketing. In 2011, Julie began her career as a Travel Counselor with the CVB and spent a year and a half in the Visitor Services department. She has been an active member of the Public Relations Society of America since joining the Marketing team in January 2013. In April 2016, she graduated from the Southeast Tourism Society’s Marketing College program becoming certified as a Travel Marketing Professional (TMP). Julie is also a graduate of the City of Concord’s “Concord 101” Citizen’s Academy program. 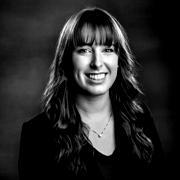 Jenna Wines joined the Cabarrus County CVB in August 2017 after graduating from Virginia Tech’s Pamplin College of Business with Bachelor of Science degrees in both Marketing Management and Hospitality and Tourism Management. From Richmond, Virginia, Jenna completed an internship with Richmond Region Tourism (RMCVB) in 2016 and was the Social Media & Marketing Intern for BlacksburgLodging.com from 2015-2016. Throughout her four-year tenure with the Hospitality Management Association at Virginia Tech, Jenna held positions including Director of Social Media, Vice President, and Director of Marketing. Jenna was recognized as the Virginia Restaurant, Lodging and Travel Association’s 2016 Rising Pineapple Student of the Year and later served as a panelist at the 2016 VA-1 Tourism Summit. With experience in customer service, project management and marketing, Kristen Cranford joins the Bureau as Marketing Coordinator, a new position added to support the marketing efforts of the CVB team. Kristen most recently served as Production/Account Manager for Concord-based Walker Marketing, Inc. working with many clients in the tourism industry. Kristen is a graduate of the University of North Carolina at Charlotte where she earned her Bachelor of Arts degree in English and minored in Communications/Public Relations.